In my 40-plus years of teaching accountancy at Strathmore University and elsewhere, I have seen Kenya’s accountancy profession change for the better. While students in Kenya today tend to select courses in “finance” rather than in “accountancy”, this is simply because they do not really know what “finance” and “accountancy” are. Accountants are employed across the entire spectrum of any economy – in every business, whether large or small, in banks, in insurance companies, in savings and credit organisations (Saccos), in the national and county governments, in non-governmental organisations, in schools, universities and hospitals, and any other entity where finances are being managed. Wise students choose to study accountancy with the understanding that accountancy will open doors for them post-qualification and beyond. The Accountancy Act has just been modified by the 2018 Finance Act so that if one wishes to sit for the Certified Public Accountant (CPA) examinations or the Kenya Accountants and Secretaries National Examinations Board (Kasneb), the student has to first register as a trainee member of the Institute of Certified Public Accountants of Kenya (Icpak). ICPAK promotes high ethical standards in accounting and requires all its members to follow International Financial Reporting Standards, and those who audit financial statements to use International Statements in Auditing. These standards increasingly help to provide stakeholders with more and better information derived from the practice of accountancy – some financial analysts want more and more information about, especially, companies whose shares are traded on a stock exchange. Furthermore, Icpak’s over 19,000 members maintain their certifications through continuing education credits provided by the Institute. Why is this important? Because no Certified Public Accountant (CPA) operates in isolation. For the non-accountants reading this article, it can be tempting to assume that an accountant is some kind of oracle. In ancient Greece, an oracle was a priest or priestess who made statements about future events with infallible authority. Instead, the accountancy profession should contribute to a clearer view of what is really going on in public and private organizations. The basic International Standard on Auditing states: “The purpose of an audit is to enhance the degree of confidence of intended users in the financial statements. This is achieved by the expression of an opinion by the auditor on whether the financial statements are prepared, in all material respects, in accordance with an applicable financial reporting framework. In the case of most general purpose frameworks, that opinion is on whether the financial statements give a true and fair view in accordance with the framework”. In effect, a statutory audit is a test of financial information and compliance with applicable regulations — and by its very nature, a statutory audit will not necessarily uncover evidence of all wrongdoing or other anomalies. That is why an auditor’s report is called an ‘opinion’. An ‘unqualified opinion’ means that the independent auditor judges that the company’s reported financial information represents a ‘true and fair’ position. Auditors do have a responsibility to alert management of any irregularities which could affect the integrity of financial information. But there is a difference between alerting management of irregularities and actively investigating the possibility of irregularities. There are other services available in this market to conduct an investigation of an organization’s operations, with the objective of uncovering potential irregularities or wrongdoing. Why does this matter to us now? In the last few months, I have been very discouraged to see a number of reports blaming auditors for not ‘catching’ wrongdoing. It is not my place to comment on particular claims or investigations, but merely to share a few points in this article about what a statutory audit seeks to deliver, in terms of value. We need to be clear about what we are saying, and do our homework before we point fingers. I have been teaching accountancy for over four decades and I have reminded thousands of students to do their homework, perform their work with integrity and to rely on facts, not fiction or wishful thinking, to inform their opinions. In Kenya today, these lessons are just as important as they have always been — perhaps more so. 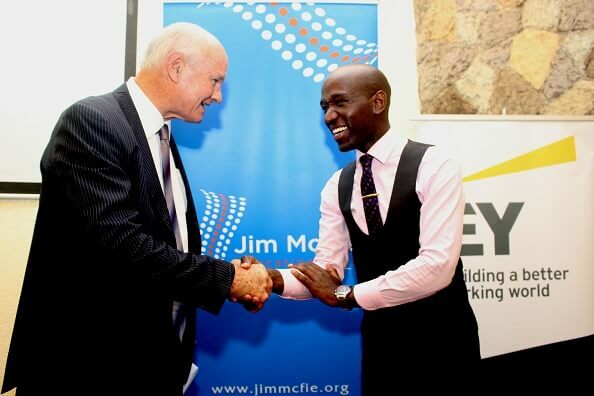 Jim Mcfie, is a lecturer in Financial Reporting, Auditing and related Accounting subjects at Strathmore University. This article was first published in Business Daily Africa.